Go Bowling01274 583330work Ten Pin BowlingLocated in the heart of Shipley, the perfect place for a fun get together with family and friends. You'll find 12 Bowling lanes with computerised scoring and FREE bumper bowling available at all times. There's a fully licensed bar and diner plus a children's party room, video games and pool table. Club membership available and there is also a full league program and coaching. Located in the heart of Shipley, the perfect place for a fun get together with family and friends. 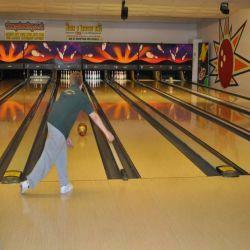 You'll find 12 Bowling lanes with computerised scoring and FREE bumper bowling available at all times. For full details of opening times, please call or check the website. For full details of prices, including family offers and party packages, please call or check the website. Go Bowling can be found in the town centre at the Otley Road end of Market Street just before the traffic lights behind Staveley's garage. Car parking available behind the bowl and in Shipley town centre.